Whether it’s traveling to another’s house or hosting a gathering at your own, getting ready for the holidays can take you out of your daily routine in managing your Parkinson’s. 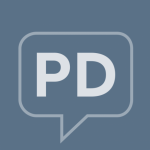 Join us this month as we discuss managing PD over the holiday season. With plenty of ways to connect with others, we want to hear your experiences with the holidays and Parkinson’s. We here at ParkinsonsDisease.net hope you have a wonderful holiday season! Have the holidays changed since your Parkinson’s diagnosis? How do you manage PD during this season? Let’s talk about it! The holidays can bring about some special or memorable stories. What’s your holiday story? We have plenty of ways to get in touch with others and their experiences with the holidays and Parkinson’s. Join us in our discussion all month long!